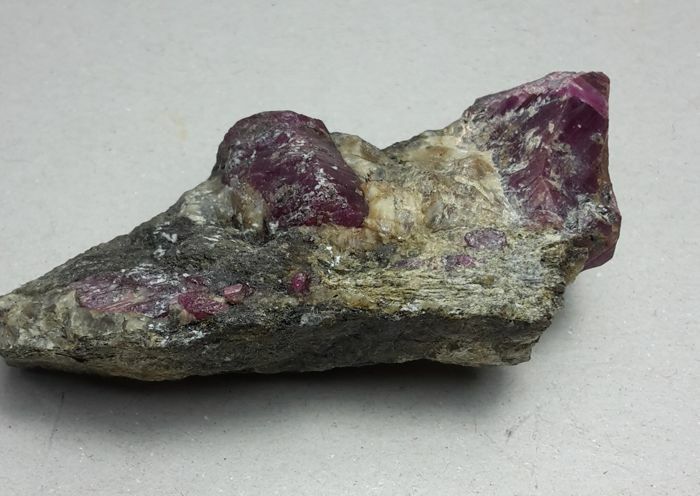 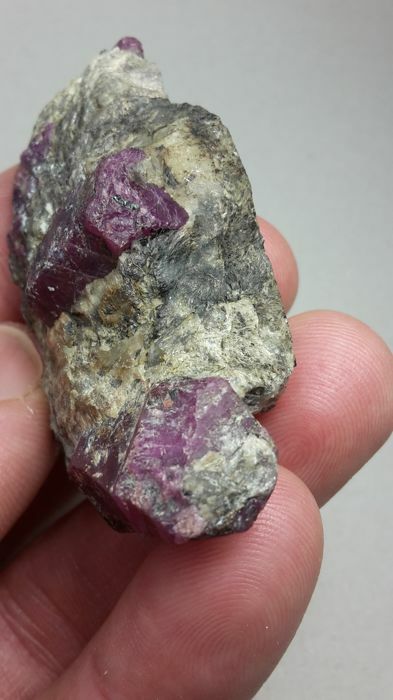 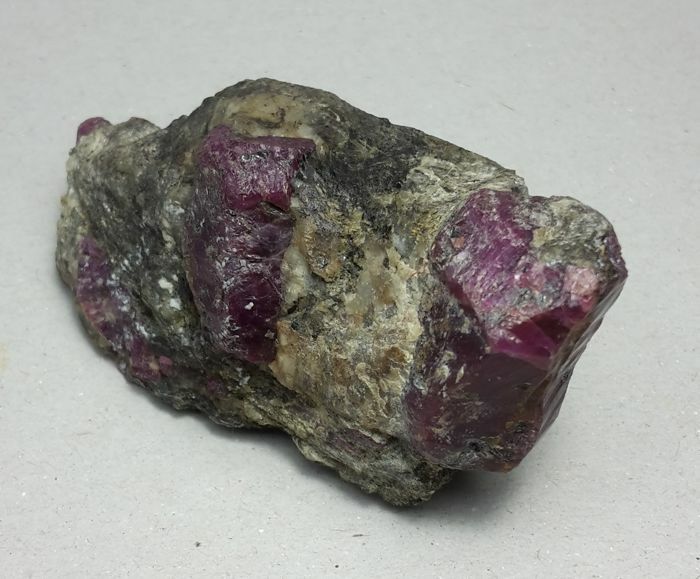 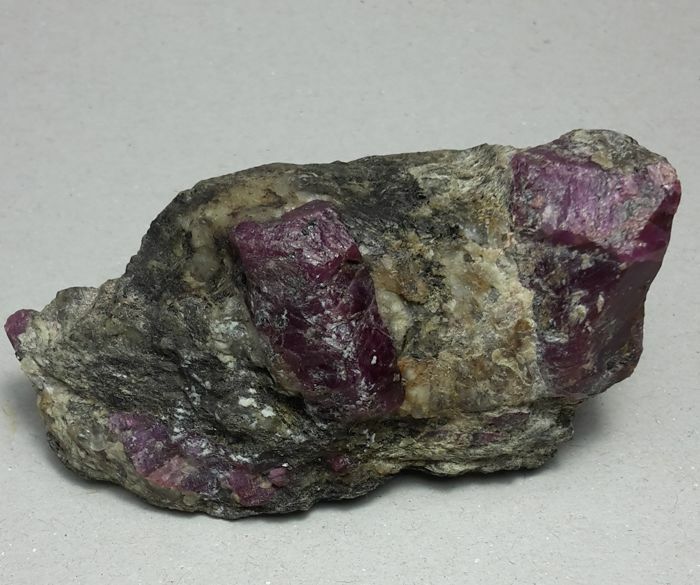 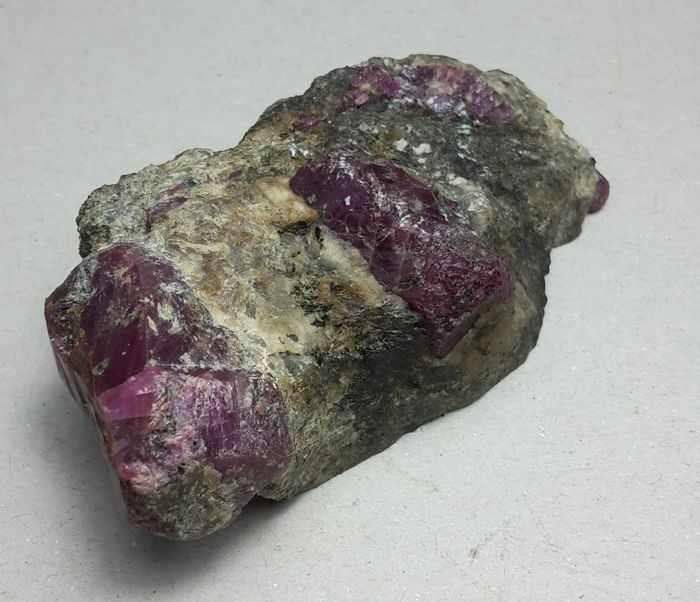 Very nice specimen of two good ruby crystals with a deep magenta color. 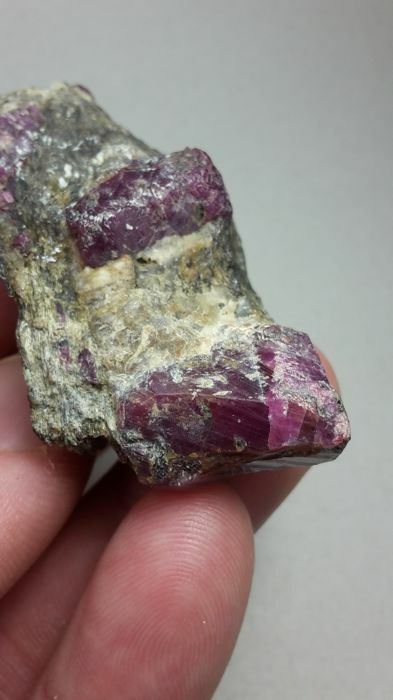 The crystals are unusually well exposed, and show good color and form. 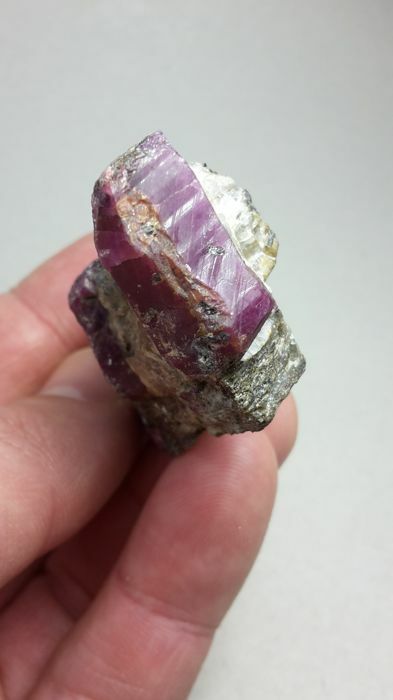 Fluorescent under LW-UV. 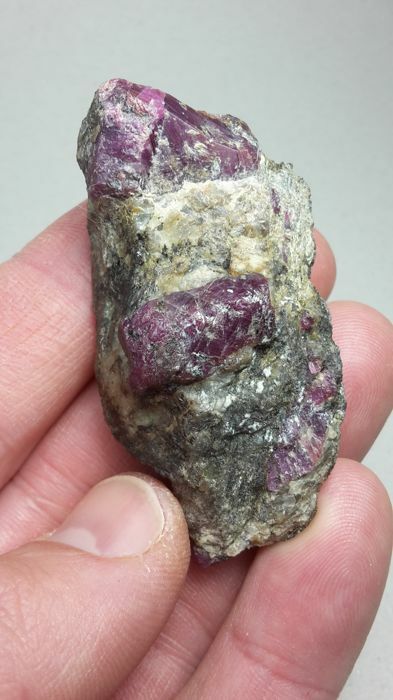 Always send directly, safe and solid. 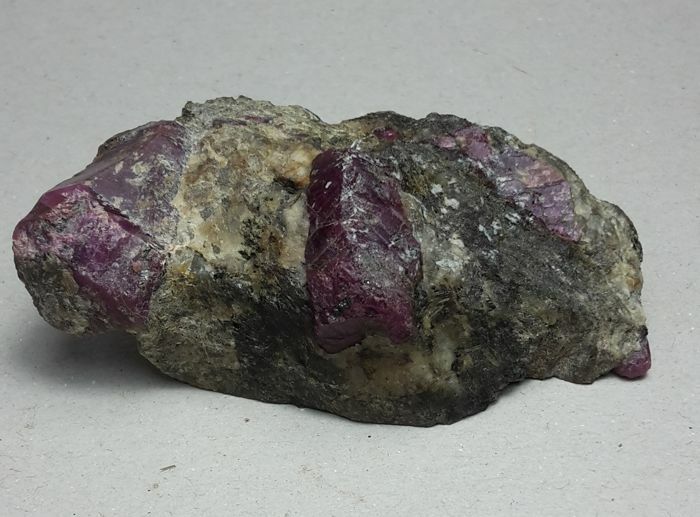 Puoi ritirare questo lotto direttamente presso il venditore: Hulsberg (Limburg), Paesi Bassi.